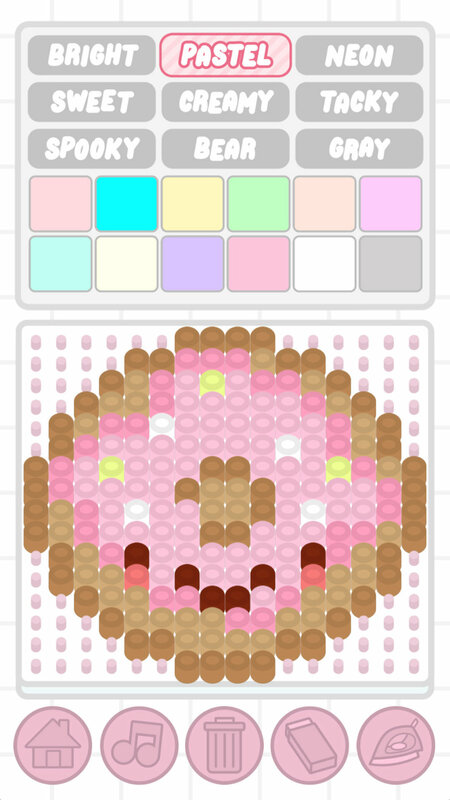 MeltyHeart is a playful and relaxing creative app that lets you create virtual melty bead art to share with your friends. 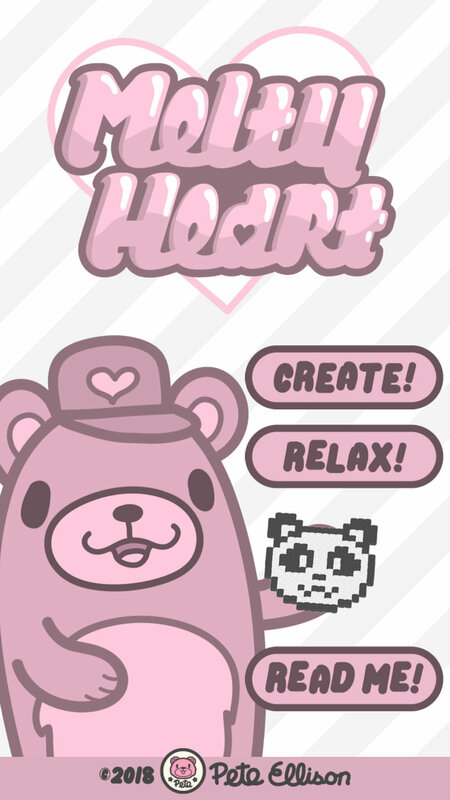 The app is hosted by an original character I created named Crafty Cub who guides you along with instructions - or you can just hang out with him in “relax” mode and enjoy the soundtrack. 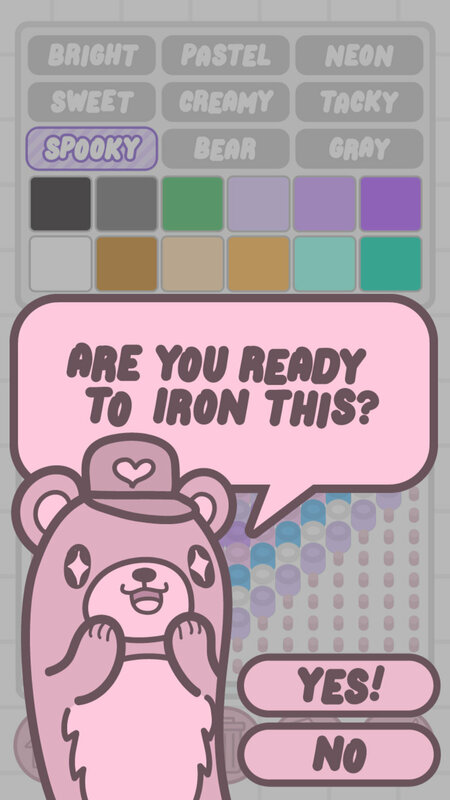 Since the app is about making brightly-colored art with multiple palettes, I kept the illustration monochromatic and neutral, giving code to give it a slightly different tint each time the app is started. This labor of love project was the first app created and published 100% by me (graphics, code & soundtrack), released to the app store in November 2018.